Digital signage lets you present more information in a smaller space than traditional bulletin and message boards. 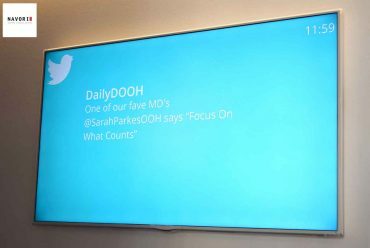 Digital signage displays can be mounted in any location that is easily accessible for your viewers to provide an endless source of real-time information. Captivate your viewers with content that appeals to any audience like weather forecasts, news feeds, live TV broadcasts and other compelling information. Motivate your audience with calls to action and focused content. Publish content from multiple data sources. Point to RSS/XML feeds or information from proprietary sources. Create your own data feeds hosted on the QL server. No programming skills required. Use custom templates to show a mix of multimedia content and real-time data. 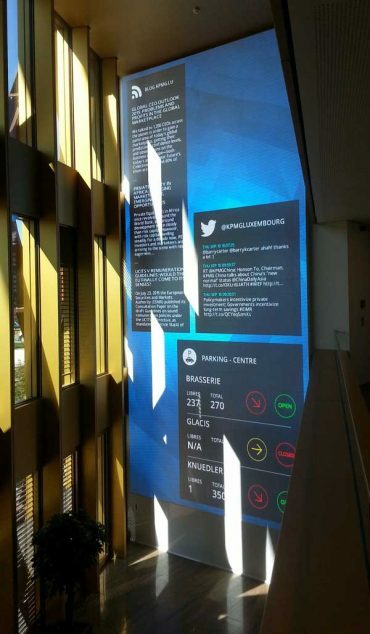 In-real-time messages display on all boards from Twitter or Instagram. Showcase latest news related to your industry from international markets. Encourage staff communication from a real-time support. Filter and reassure readers displaying positive messages.